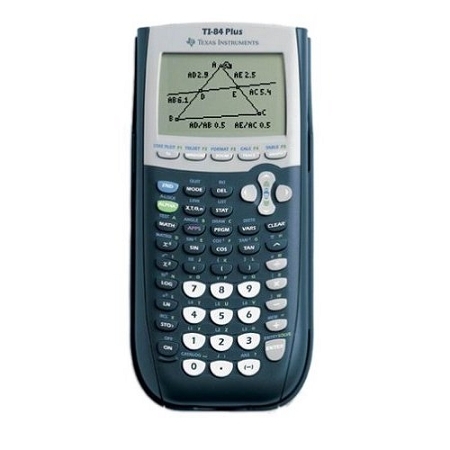 The TI-84 Plus graphing calculator offers three times the memory, more than twice the speed and a higher contrast screen than the TI-83 Plus model. It’s keystroke-for-keystroke compatible, too. Ti-84 Plus Graphing Calculator, Hard Protective Slide Cover, Manual on CD Rom, USB Cable, Mini USB Link Cable, 30 Day Money Back Guarantee & 90-Day Warranty On Reconditioned Products. Batteries sold separate. I found this company to very accomodating on an order that I made an error on ordering the wrong item. Very fast turnaround on re-order of correct item and prompt refund on original order. Very good customer service. Item came as described and very fast. thank you for the really quick shipping. Nice and clean product. I satisfied. Very fast shipping. Great price. Calculator is as described--refurbished in original packaging. So far (about 2 weeks), it seems to be working fine.